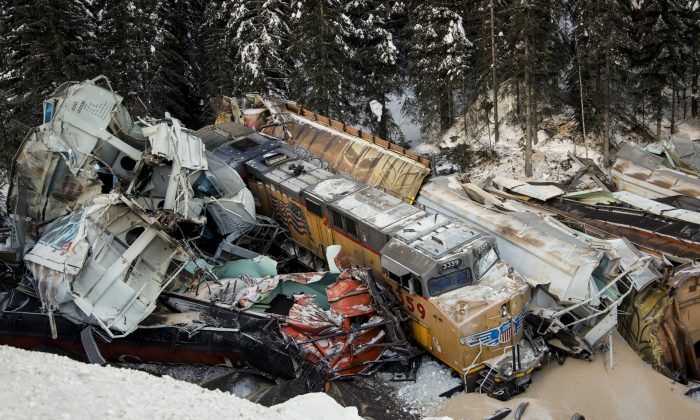 CALGARY—Investigators say a Canadian Pacific freight train was parked and began to move on its own before it derailed and killed three crew members on the Alberta-British Columbia boundary. The Transportation Safety Board says the westbound train had been parked on a grade with its air brakes applied for two hours near Field, B.C., early Feb. 4 when it started rolling. “It was not anything the crew did. The train started to move on its own,” Carmichael said at an update on Feb. 5. “It’s one of the worst calls that you want to take,” he said on Feb. 4.